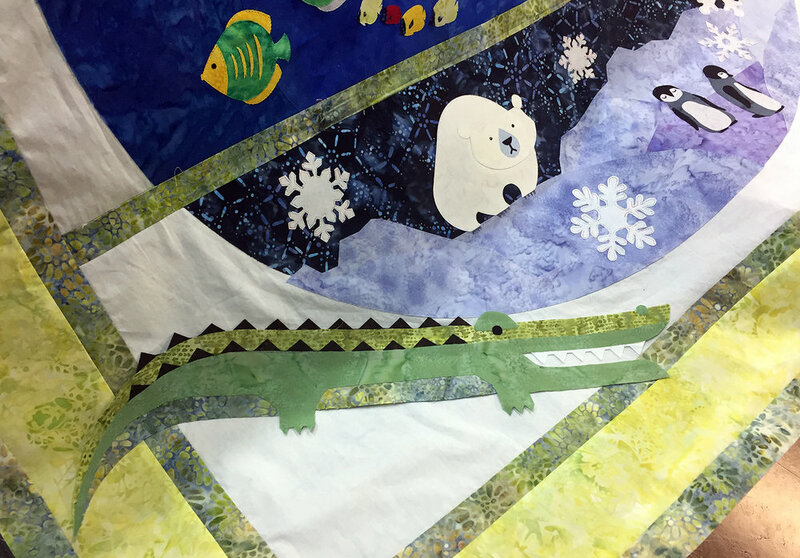 It's official: we are now halfway through the One World Quilt Along! We are actually about 60% along the way. I hope you are all enjoying this fun project. I'm excited that we are this far along - it really doesn't seem like Keith and I have been creating with you for almost four months! With Block 4 we will be completing the top half of the globe and it's really cool to see how this all comes together. I've got a few tips for you this month and you'll find them in my Block 4 video in the One World Quilt Along playlist on my YouTube channel. If you haven't joined the quilt along yet, you can still do so. You'll receive all of the previous patterns and have access to all of the instructional videos. Come join us, we're having lots of fun and there are prizes to be won! See you in 2017 for Block 5! I'm thrilled to announce that we have awarded our first prize in the One World Quilt Along. Still not registered in this online quilt along? 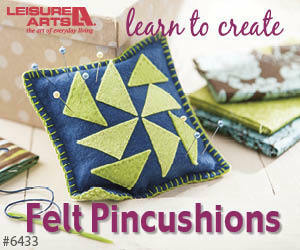 Sign up today at www.quiltfusion.com/one-world to join us for 7 months of appliqué fun. We just started the first block on September 15, 2016, so you aren't really behind at all yet. Now, back to the exciting announcement. The winner was selected from all those Quilters and Viewers who signed up by September 15. The random number generator selected Donna C, one of our Viewers, as the winner. Donna will enjoy a free year's subscription to Curious, where she can watch thousands of lessons on all types of subjects. I have several courses on Curious, so Donna can learn about fusible web appliqué, hand embroidery stitches and vintage sewing machines when she watches my courses. If you haven't checked out Curious yet, take a look. You'll be amazed at all the things you can learn.